The perfect cocktail for any fall occasion. 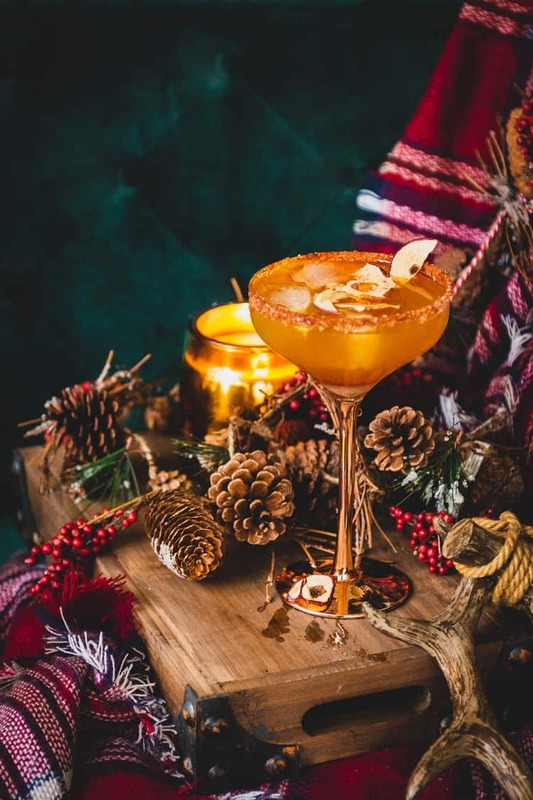 This Apple Cider Margarita Recipe is one you will be making in batches for parties and by the glass for yourself all the way through to the new year. Sometimes things just come together. This is one of those things. We were out at a party the other night and a friend whipped up some cider cocktails. 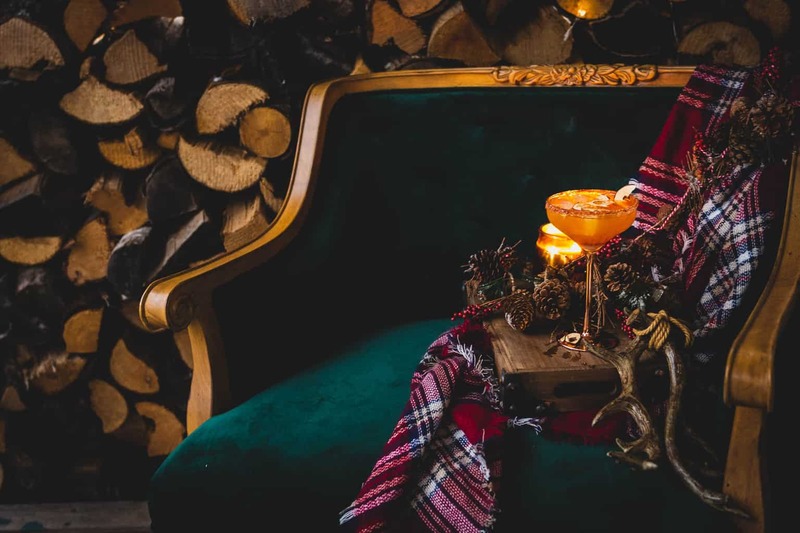 It was the perfect splash of fall in one of my favorite libations. The idea was so simple and perfect I knew I’d be recreating it at home. Sure enough, I had to take the idea and play with it in my own kitchen. I started with my newest fall obsession. Athol Cider Syrup. Visit Idaho last summer, we stopped by this amazing antique apple farm and I was absolutely inspired by their operation. The idea is to bring heritage apple breeds back to life, raise a healthy orchard, and produce top quality products. Education and farming. Well, I’m sold. But the icing on the cake was that their Cider Syrup is downright addictive. It’s thick and smooth and packs just the right balance of apple flavor. I smuggled a precious bottle back home and have been limiting my use as if I live in a dystopian future and it’s the last cider syrup I could ever possibly own. (That kind of good). A swirl of the cider syrup in the glass was the start. Then replacing the tequila with smoky mezcal. And a simple classic margarita base. With a splash of high-quality cider on top. I wanted something sweet and savory to round out this experience so I mixed my cocktail salt with brown sugar, paprika, and a touch of cinnamon. This is autumn in one single sip. 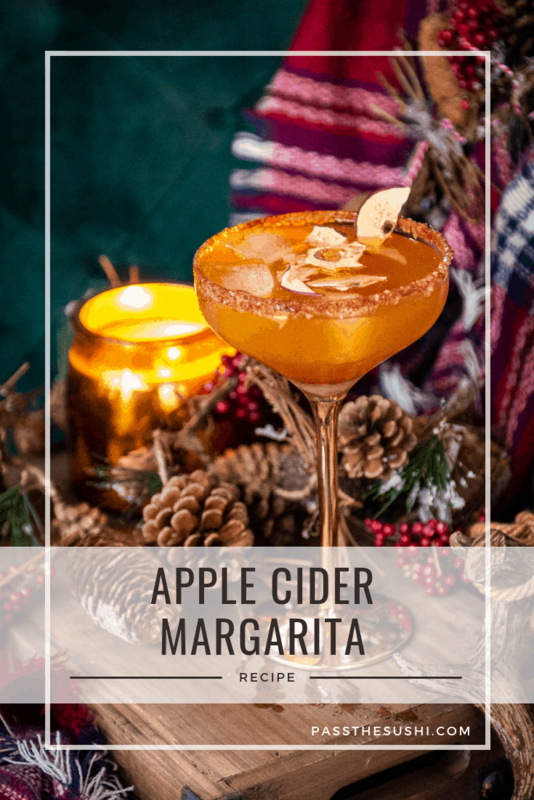 And bonus, this apple cider margarita can be made in easy big batches ahead of time for entertaining. 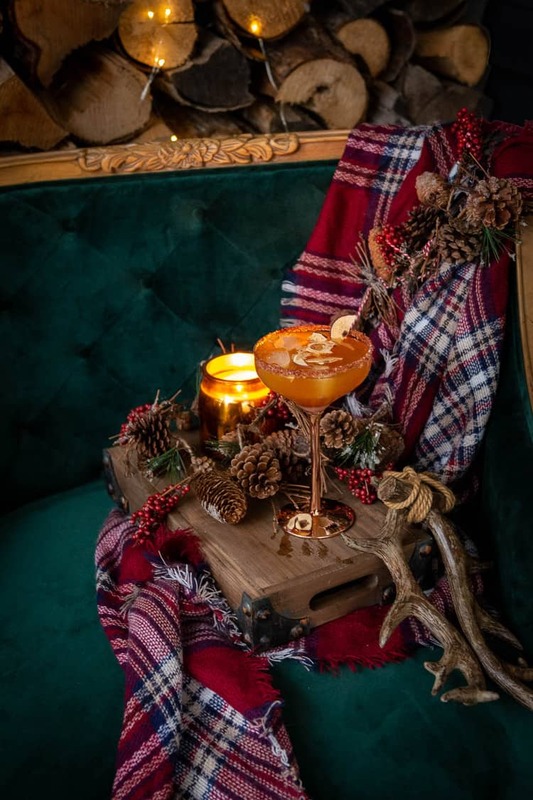 Need more fall cocktail ideas? Check out the full recipe archives! 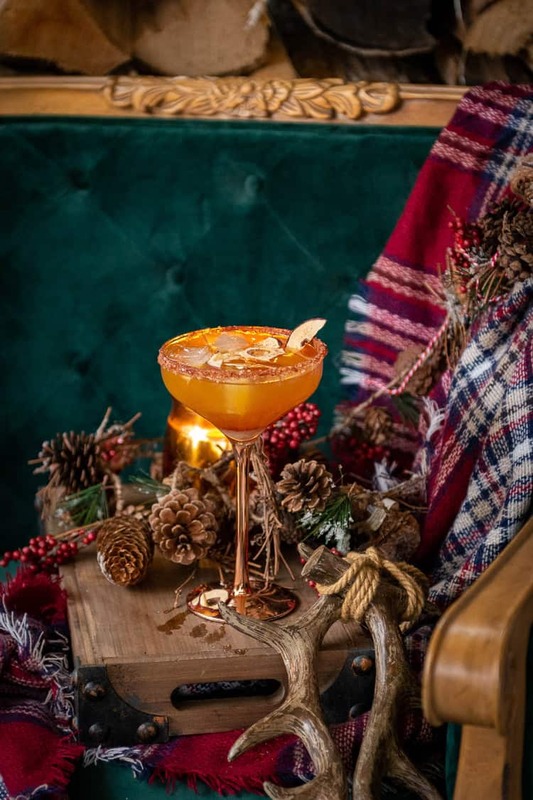 If you’ve tried this Apple Cider Margarita Cocktail Recipe or any other recipe on passthesushi.complease don’t forget to rate the recipe and let me know where you found it in the comments below, I love hearing from you! You can also follow along for more good eats and travel tips on Instagram @passthesushi & @girlcarnivore, Twitter & Facebook. Run the lime wedge over the rim of the glass. Dip the glass into the sweet and spicy salt, if desired. Put fresh ice in a cocktail shaker. Add the mezcal, margarita mix and apple cider. Shake to chill and combine. Strain over fresh ice in a cocktail glass. Garnish with apple chips and serve. Mix the cocktail salt, brown sugar, paprika, and cinnamon in a bowl together. Using your fingers, or a small whisk, make sure everything is thoroughly combined. Store in a resealable container until ready to use. Have the cider syrup on the side for garnish. Mix the tequila, margarita mix, and apple cider in a large pitcher with ice. Sprinkle the apple chips over top. Any cider syrup would work here. I just happen to think that the Athol Cider Syrup is the best I have ever had.